The fundraising landscape across the UK has completely changed due to the introduction of charity wristbands. Almost all the major UK charities such as Help for Heroes, Support our Troops, Breast Cancer Care, Macmillan Cancer Support and many, many more have used and are still using wristbands for fundraising. 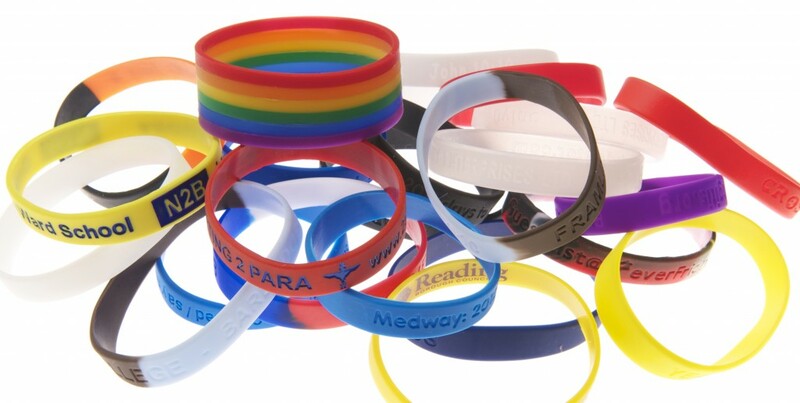 Using wristbands for raising funds for your charity is a very effective method. They are a brilliant product that can have a double impact by way of raising awareness as well as money. The wristbands are usually made from silicone or rubber and are easily custom printed with single or multi-colours, embossing and debossing. This high level of customisation has enabled the bracelets to be branded for each charity in a recognisable form. Charity wristbands have been around since the 80’s. Charities have been fundraising with wristbands since at least the 1980’s although they really came into focus with the Lance Armstrong Foundation. The Lance Armstrong Foundation used a bright yellow silicone wristbands that was endorsed by multiple celebrities. This gave them huge global exposure with millions sold. The moulded silicone is flexible so the final charity wristbands can be produced in a ‘one size fits all’ run. This helps further to reduce costs per unit. Cost wise they are very cheap to produce with customised production runs over 10,000 costing as little as 13p pence per band. This ensures that at a resalable value of £1 they can bring in a pretty good profit margin. People buy the slap band or wristband for an acceptable amount and at the same time they are contributing to the charity they feel like they have something additional for their donation. They are also very durable and quite soft to the touch so wearers hardly notice them on their wrist after a while.